Click the menu on top, then click Autoresponders. On the next screen, your Current Autoresponders will be listed. Click the Add Auto Responder button. 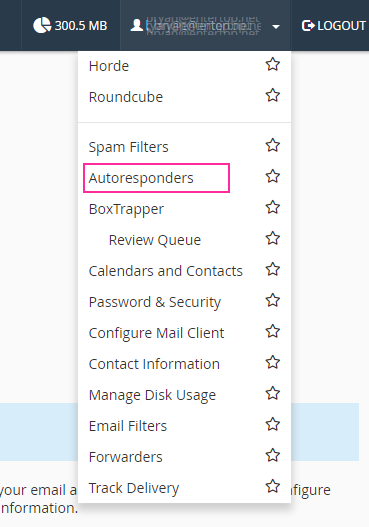 Fill in the fields to create your AutoResponder. Below is a brief description of the available options. 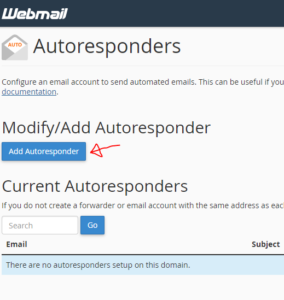 Click the Create/Modify button to save your Autoresponder.